Beautiful weather on the UWGB campus has created spring fever for all. Let the outdoor studying begin! 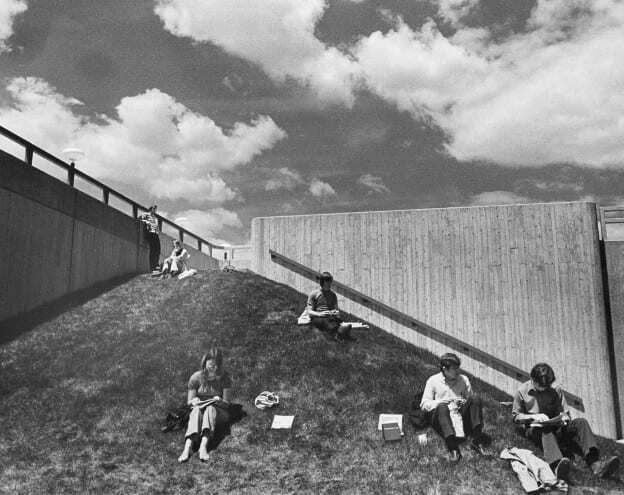 These former students are studying on the hill near the UWGB Cofrin Library (then Library Learning Center). Photo is from the late 1970s. This content was originally posted by the UW-Green Bay Archives and Area Research Center to their facebook page on Thursday, March 19, 2015. View the original Facebook post. This entry was posted in Throwback Thursdays on March 19, 2015 by Kimberly Vlies.